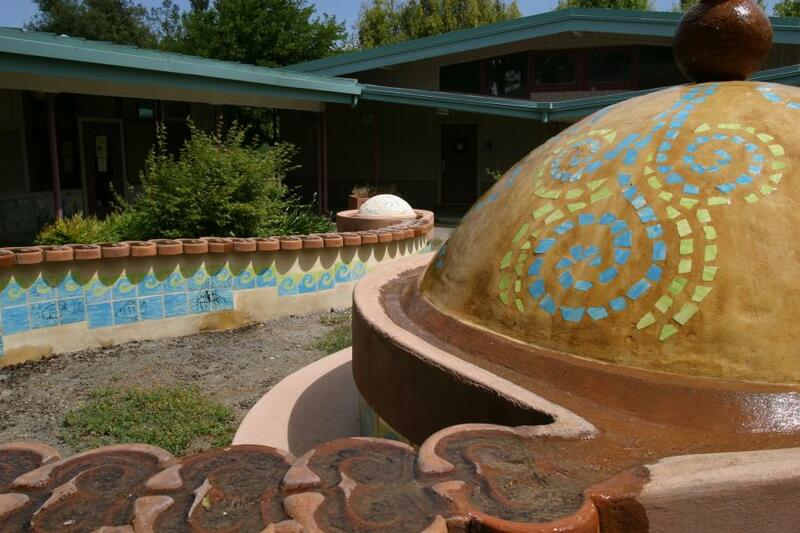 A sculptural fountain that provides both seating and a playful focal point for Monta Loma Elementary school. 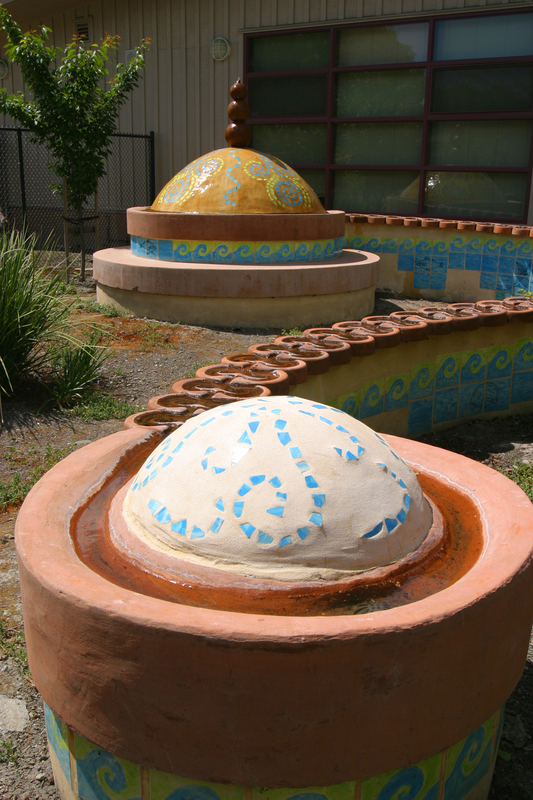 Water flows along a forty-foot spiral, via unique stones from a large tile dome to a smaller basin. 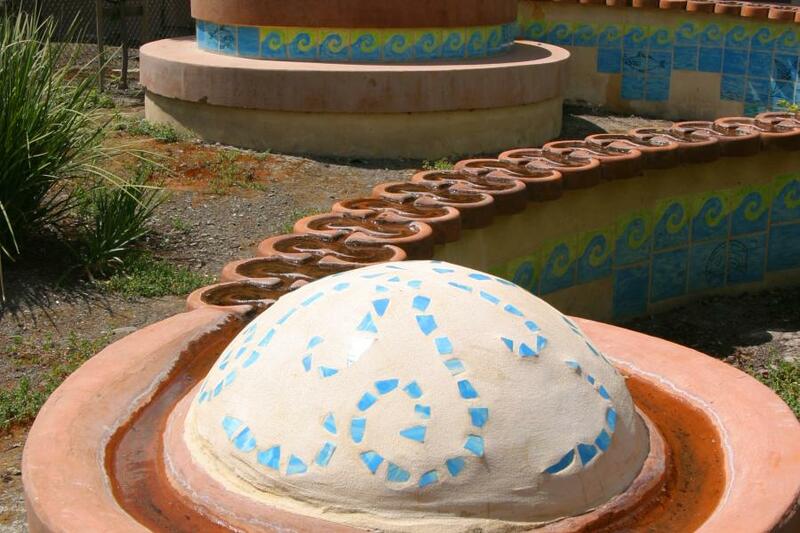 Water life from San Francisco Bay is featured in the tile mural on the face of the wall. Both students and teachers got involved by painting the water tiles while Rogers translated the student drawings of fish and plant-life into an underwater scene.